2015 Season: It seems like forever ago when that 2011 squad rode surprising seasons from Ian Kennedy, Miguel Montero and Gerrado Parra to 94 wins and the playoffs. Fast forward to present day, all are gone. As far as 2015, the Rattlesnakes bounced back nicely in Year 1 of the Tony LaRussa/Chip Hale brain trust. Winning 79 games, they finished 15 better than their disastrous 2014, and young stars like Goldschmidt, Pollock and Ray are giving fans reason to party like its 2001 in the desert. Key Additions: When you shell out $206 MM for a pitcher coming off a historic season, there isn’t really a debate on the biggest offseason addition to the team. Not one to normally drop the big bucks in free agency, the Diamondbacks hope that former Dodger Zach Greinke can live up to the price tag over the next 7 seasons. They also added former Met great and Colin Cowherd doppelganger Tyler Clippard to the back end of their bullpen and acquired Jean Segura from Milwaukee in a trade to sure up the defense in the middle infield which was lost when Didi Gregorious was sent to New York. Key Losses: The most notable subtraction did not come at the MLB level for the snakes, but in the form of prospects. Baseball America has ranked the Diamondbacks trade with the Braves as the #1 trade of the offseason (for the Braves), which is not a good thing for these guys. Basically, Arizona acquired Shelby Miller and unspectacular 20 year old prospect Gabe Speier from ATL, in exchange for: Ender Inciarte (who hit .300 last year in the bigs), pitcher Aaron Blair (a 6’5” hurler who projects as a possible #2 starter), and shortstop Dansby Swanson who was the #1 overall pick in 2015. If there was ever an organization that should know what a #1 pick shortstop can do for a squad, it should be the D-Backs, because the last time the drafted one (Upton in 2005) it turned out pretty well. The 2016 lineup for the Diamondbacks will be focused heavily on their top 4 hitters, starting off with AJ Pollock. For those who may not be familiar with Arizona, this Pollock kid is a stud. He’s a spider monkey in Center and hit .315 last year with 39 stolen bases and an .865 OPS, so you know it’s not only singles. Behind him, Perralta is the prototype of a #2 hitter, a guy who can hit for average (.312 in 2015) and has a great eye for walks. These two should set the table for arguably the best player no one talks about, Paul Goldschmidt, and the young Cuban masher Yasmany Tomas. Goldschmidt is coming off a MVP-esque season in 2015 and Tomas will be relied upon more to live up to his full potential as a 30 HR 100 RBI guy, especially with three .300 hitters batting in front of him. The rest of the lineup has some pop and potential, but otherwise is not much to fear behind what should be a very formidable 1-4. When you surprise the world and shell out over $200 million for a pitcher coming of a historic season, he is probably going to be the focal point of any rotation. The Arizona Diamondbacks are no different. This rotation will go as Greinke goes and Arizona will be relying on his right arm if they want to push for a playoff spot in 2016. 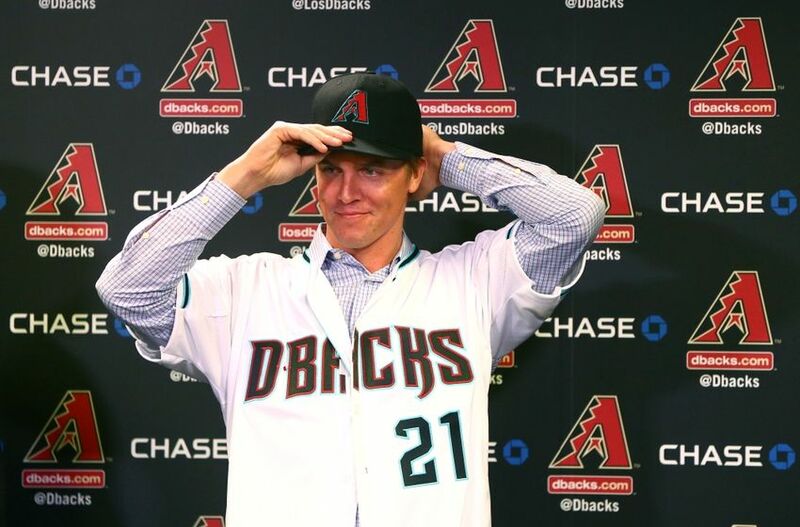 After Greinke, Shelby Miller will be looked upon to be the number two pitcher on this staff. After being brought over to the West Coast in that lopsided (on paper at least) trade with the Braves, the DBacks will be hoping that he can exceed his current career numbers and find a next gear. 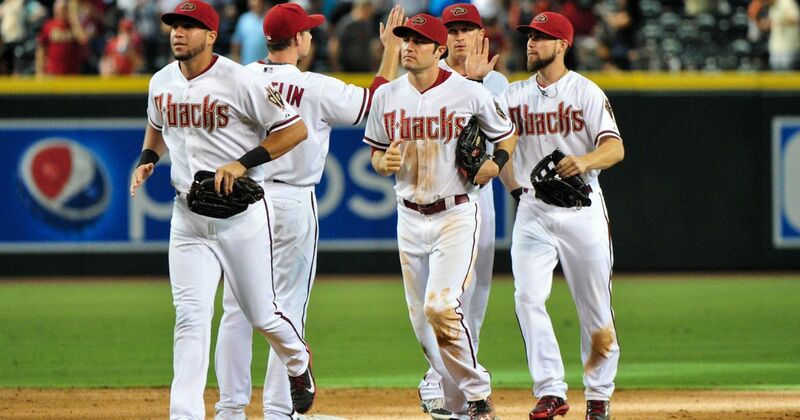 Pat Corbin and Robbie Ray are both young pitchers with nice upside. Many people believe that this could be a breakout year for one or both of them. Finally Ruby De La Rosa is the perfect 5 starter, in that he eats up innings and should put his team in a position to win on most nights. Most of the Diamondbacks’ bullpen is intact from last year. 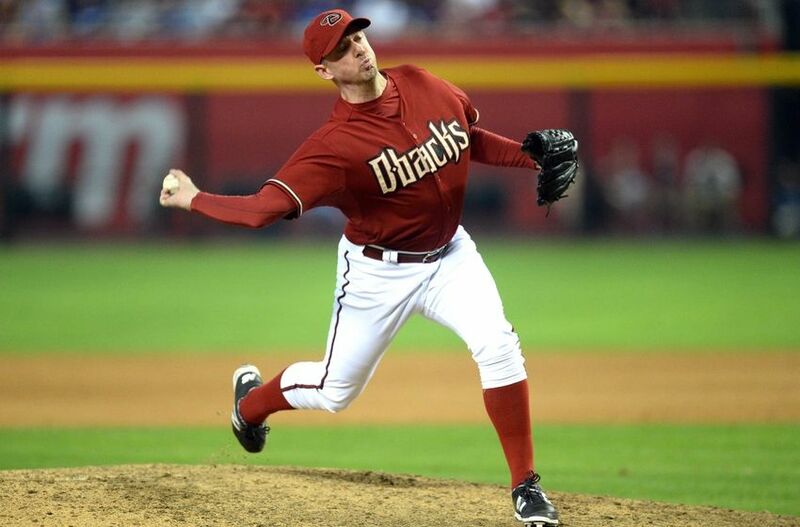 The definition of ‘league average’, slotting in at 8th in the NL and 13th in the Majors,Arizona hopes to improve on those numbers in 2016 with the addition of Tyler Clippard . Clippard should slot in as the set up man for closer Brad Ziegler who pitched excellent last year saving 30 of 32 opportunities. Even a slight improvement at the end of games should greatly improve their record by season’s end. 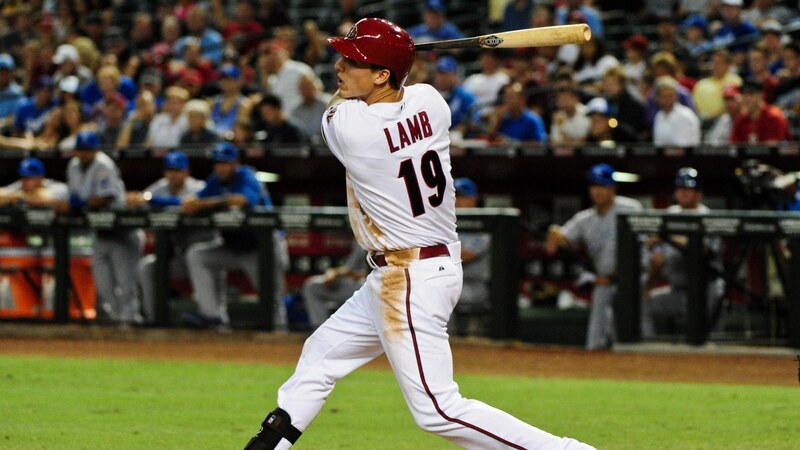 There are a lot of possible players who will need to step up this year to make this team into a playoff contender after a very busy offseason, but Third Baseman Jake Lamb may be a huge step towards getting there. At 6’3 205 lbs, he certainly looks the part, and quietly hit .265/.331/.716 last year in his first full(ish) season. A high draft pick, he could very well be in charge of cleaning up anything left over after 1-4 in the lineup as well as providing protection for Goldschmidt and Tomas whom pitchers will attempt to pitch around. 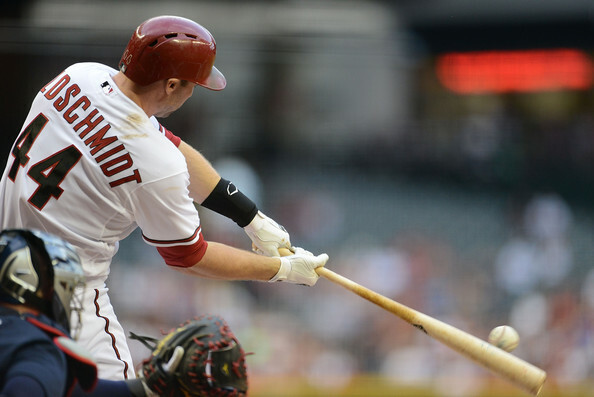 HBT’s 2016 Season Prediction: The Arizona Diamondbacks are built like an NBA team, not a baseball team. What do I mean by that? Well, I just think that this team is very top-heavy as far as talent is concerned. They have a bunch of guys who are elite/top 5 at their position as all around ballplayers (Goldschmidt, Greinke, Pollock) yet not much around them. If the secondary/ancillary players step up and supplement the work done by their stars (namely Miller, Tomas and Corbin) then this team can win 92 games, but in reality, they will win 84, while being young, exciting and promising. Come talk to me in 2018…I think these guys could be SCARY by then.